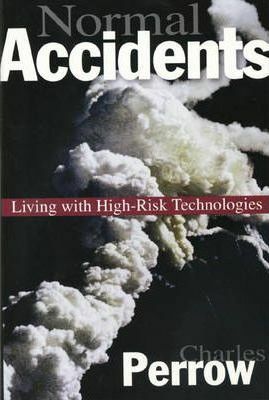 Normal Accidents analyzes the social side of technological risk. Charles Perrow argues that the conventional engineering approach to ensuring safety--building in more warnings and safeguards--fails because systems complexity makes failures inevitable. He asserts that typical precautions, by adding to complexity, may help create new categories of accidents. (At Chernobyl, tests of a new safety system helped produce the meltdown and subsequent fire.) By recognizing two dimensions of risk--complex versus linear interactions, and tight versus loose coupling--this book provides a powerful framework for analyzing risks and the organizations that insist we run them. The first edition fulfilled one reviewer's prediction that it "may mark the beginning of accident research." In the new afterword to this edition Perrow reviews the extensive work on the major accidents of the last fifteen years, including Bhopal, Chernobyl, and the Challenger disaster. The new postscript probes what the author considers to be the "quintessential 'Normal Accident'" of our time: the Y2K computer problem.